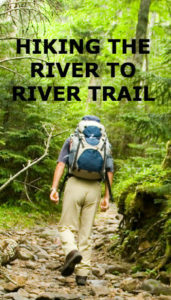 Stretching 160 miles from Battery Rock on the Ohio River to Devil’s Backbone Park on the Mississippi is one of the prettiest stretches of trail in the Midwest, the Illinois River to River Trail. From now through autumn is a great time to head there for a hike. Several wonderful bed and breakfasts dot the area, all inviting places to begin or end a trek. The River to River Trail is part of the American Discovery Trail which runs from California to Delaware, spanning more than 5,000 miles. Located in the Shawnee National Forest in southern Illinois, it offers a diversity of landscape—plains, bluffs, canyons, waterfalls, and lakes for example—and hikers are surrounded by nature at its best. Foliage is plentiful, and in fall vibrant colors will be too. The trail passes through designated natural areas, providing habitat for a variety of wildlife, including bald eagles, river otters, wild turkeys, and coyotes. It’s a paradise for birders and a great place to spot migratory birds. While not difficult hiking, the trail does have some elevation. Visitors can access the Forest Service’s website for specific trailhead directions and other park information. 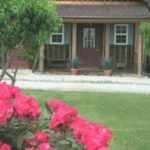 If you stay at one of the following bed and breakfasts near the Shawnee National Forest, you can also check with them as to the best places to pick up the trail. True to its name, The Stablehouse, a two-bedroom guesthouse, has a western theme and is adjacent to a barn and corral. Ideal for extended stays, it has a full kitchen, porch and patio, and sleeps up to seven. Book a room at Kite Hill Vineyards and you can sample a little wine during your stay. The B&B here has two delightful rooms with private baths and serves a full three-course breakfast. Country Schemes B&B, a peaceful little place on a third generation farm. With three guest rooms and a welcoming front porch, relaxing is a given. All four B&B’s are members of the Illinois Bed and Breakfast Association… a unique lodging experience! 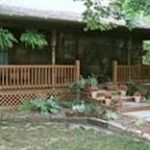 This entry was posted in Hiking, Illinois Bed and Breakfasts, Outdoor activities and tagged Illinois Bed & Breakfasts, outdoor activities, Shawnee Hills National Forest by admin. Bookmark the permalink.